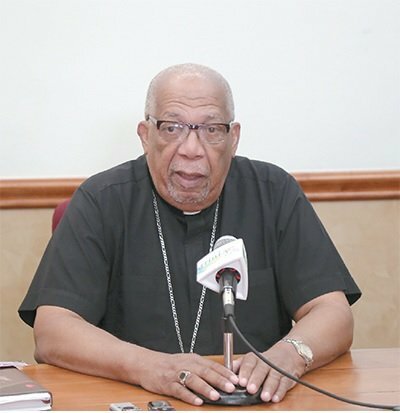 (Trinidad Guardian) The head of the local Roman Catholic Church Archbishop Joseph Harris is leading a petition seeking to “free” remand prisoners who have been behind bars longer than the maximum prison term they would have gotten if they had been found guilty of their crimes. The petition which has been circulated to priests and parish administrators across the country recently aims to attract sufficient signatures to trigger mercy for hundreds of prisoners, particularly those charged with minor offences. A remand prisoner is one who has been charged with an offence but is awaiting trial. Many of them are on bail but are unable to meet the requirements to obtain bail. 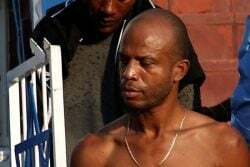 This year has been declared the “Jubilee Year of Mercy” by Pope Francis and it is in this context that Harris is seeking Presidential Pardon for some incarcerated on remand. In a letter sent to priests and parish administrators dated April 7, Harris informed his clergy that he had written to the government with the request and asked that the priests read a letter which he sent to the congregation to “sensitise their parishioners about this cause.” He has also asked that parishioners sign forms “endorsing this petition and return them to Archbishop’s House between Pentecost and Corpus Christi.” That is between May 15 and May 26. But many others were in support of the initiative, expressing the view that it was only right that we be “merciful” to those in need of it. The GML Enterprise Desk understands that the letter from Harris came out of a meeting of the clergy at which he is said to have expressed concern that there are several young men and women who have been in prison for years, in some instances more than a decade awaiting their matters being heard, and when their matters are heard, he said, some of them may be sentenced to an additional five years in prison. Harris argues that by “no fault of their own” these young men and women would have already spent significantly more time than the sentence imposed, and in this year of mercy he believes that having already served their time once the sentence is passed they should be allowed to go free. The GML Enterprise Desk was told there was a unanimous vote and that the clergy found the initiative to get parishioners to sign the petition as “a favourable thing to do,” since it was felt it “concretised the year of mercy” in this jurisdiction. 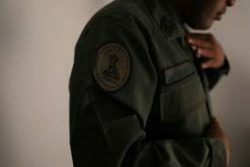 It was felt that given the slow pace of criminal justice in the country it was “inhumane” for people who had committed minor crimes to be in prison waiting more than ten years to get a trial. 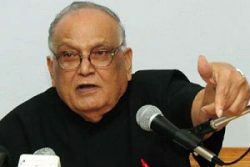 The AG said he had raised similar concerns at the recent consultation on the prison system in T&T. At that consultation the AG had expressed concern that it costs the state almost $50 m a month to maintain the 2,235 prisoners in remand yard. There are currently 2,235 people on remand yard that is just over 60 per cent of the prison population which currently stands at over 3,400. A breakdown of remand yard prisoners indicate that 42 per cent of the prisoners are on murder charges, that calculates to 939, 11 per cent or 246 persons are on drug possession charges, 7 per cent or 156 people have been charged with sexual offences and 12 per cent or 268 people have been charged for lesser offences including child maintenance and traffic offences, coming to a total of 1,609 prisoners. Some 28 per cent of remand yard prisoners or 625 were unaccounted for in the statistics. Al Rawi said many of these inmates have been in prison for over 10 years in some cases 11 and 15 years waiting for their matters to be heard. He said it costs $20,000 to $25,000 a month to maintain someone who may not have been able to pay a $12,000 fine, “it’s like bouncing a rubber ball off a concrete block” he said. In addition he said the state spends $80 million dollars a year moving remand yard prisoners to and from courts across T&T. The estimated cost includes having a prosecutor assigned to each case, a police officer, health costs and others. If the 12 per cent on lesser offences were to benefit from the request by the Catholic Church that would be roughly 270 prisoners, there would be a saving of $6.75 million per month.